The BEST new bar in Fox River Grove, we’re all about having a great time with friends, & eating the tastiest food! 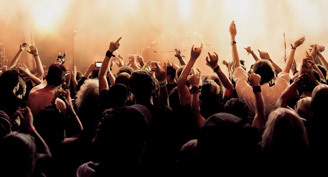 There is something for everybody- weekly (Mondays) & nights (Tuesdays), Live Music or Open Mic Saturdays. 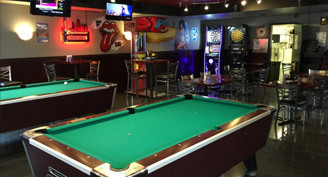 We love to play, so the back room is our Game Room, pool, dartboards, Grover’s Pong, Giant Jenga & more- just for fun. Keep me up to date on Grover’s Grill and Bar events and specials. Contact Us Today at (847) 829-4780 for event or menu information. We are all about great times with friends, awesome music, and phenomenal food! Its not just about delicious drinks & excellent service, its all the fun you can have here too! 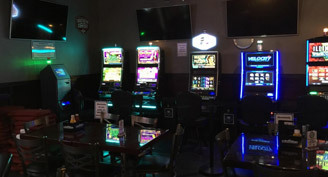 With Live Music & a stellar game room, were anything but the same ‘ole same ‘ole! Mondays – The Patio Night! Grover’s provides live music and great food on Friday nights. Come on out to see what we have in store this Friday Night!